Nice showing of Moto Guzzi in February 2015 Rider magazine! I liked the article on the 2014 Norge, and the rundown of the 2015 MG model line up. Sometimes Rider gets it right for me, sometimes not. Looks pretty good this month. Re: Nice showing of Moto Guzzi in February 2015 Rider magazine! Wow guys and gals, kinda thought this was good news. Nobody else get this? We're usually way behind up here in the sticks. ??? My issue arrived today. The Norge article was the first thing I read. It seemed like a pretty good assessment of the Norge. It seems that most folks like the modern big block Guzzis when they give them a try. I didn't want to read this thread 'til I got my copy. Thanks for the heads up, tho; looking forward to seeing the piece. 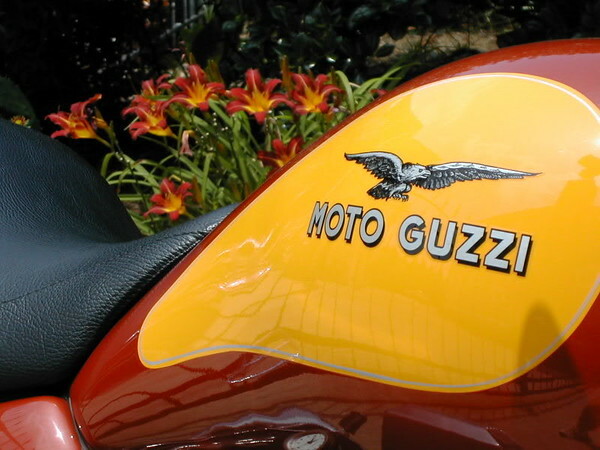 Proud member of Moto Guzzi's envy-of-the industry post-sale R&D program! Well.....I will probably get my issue tomorrow then. I'm not really drowning; I can see the beach from here. Got my copy yesterday, always happy to see a Guzzi test. I looked at the Norge before I bought my Stelvio but it felt a bit cramped for me at 6'2" and the Stelvio almost felt too big. I'm 6'3", the Norge just needed a seat rebuild to fit like a glove. Great bike. Got my copy today. As an owner of a 2011 I pretty much agree with all except I replaced the windscreen with a CalSci. As a package the bike is hard to beat. Aww you guys... I was thinking of getting a subscription since they appear to be more the way I "Roll" these days (I haven't purchased a motorcycle mag in 10 years or so)... this was the last straw..
Ok now that I did that.. anyone want to share those images of the articles since I won't see a mag for 6 - 8 weeks??? PM me with it?? Or something?? Pretty please. Ok since I was the one who started this, PM me your address and I'll send it to you in a week or two when I'm done with it. Can't live with guilt :D.
Got mine today. Very good write up. OTOH, glad he got a Norge that someone set up well so that he didn't have to experience too much "character." The above is so important. It seems that some of the Guzzis that have been test ridden were submitted right off the boat with no set up. Location: Gainesville, Ga or Green Valley Az. still waiting for mine. I think the mailperson reads it first.